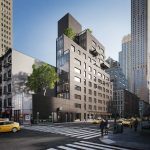 Gotham Organization, a New York City-based real estate development firm, is pleased to announce its newest residential project – Inkwell – a schoolhouse-to-condominium conversion located in the heart of Manhattan’s bustling Hell’s Kitchen neighborhood at 520 West 45th Street. 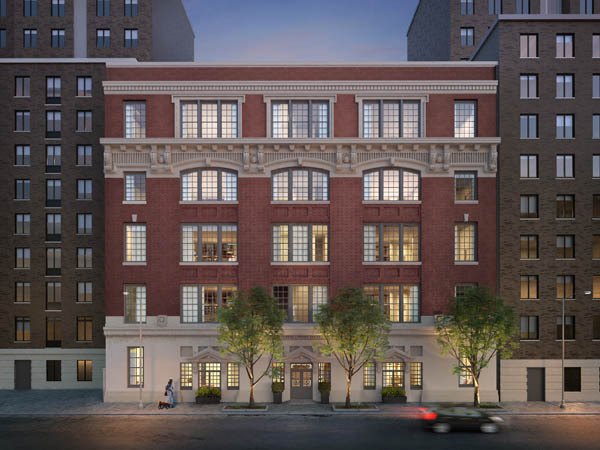 The 5-story, pre-war brick building features an exclusive collection of 18 residences and is the first New York City condominium project designed by AvroKO. 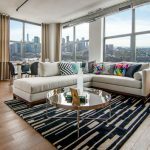 Sales are expected to launch in late summer and will be managed exclusively by Brown Harris Stevens Development Marketing along with agent Lisa Lippman. 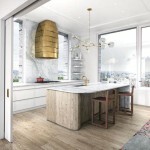 Housed in the former PS51 elementary school, the Inkwell condominium re-contextualizes the turn-of-the-century architecture by taking inspiration from the building’s history and injecting it with luxurious modern touches. The 18 apartments feature custom door frames and transoms complete with brass knobs and full-height library ladders on rails that operate along slides to reach ceiling-height custom cabinetry. Blackboards are present in the kitchen and powder room and AvroKO-designed custom lighting and furniture are found throughout, including the residents’ mailboxes in the lobby, a custom caged light-fixture in the gym, entry closets in each apartment with extra storage compartments, and bespoke light fixtures in the kitchens and bathrooms. Inkwell consists of 16 two-bedroom residences ranging in size from approximately 1,200 to 1,400 square feet with prices anticipated to start at $1.78 million. 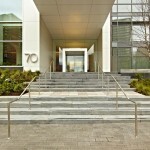 There are also two three-bedroom residences offering approximately 1,900 square feet. The three-bedroom residences include private gardens, and are expected to start at $2.75 million. All residences feature 13’-0” ceilings in living and bedroom spaces and 11’-8” ceiling in secondary spaces, along with oversized windows and black walnut floors. The residences also include stainless Viking professional appliances and Bosch compact washer and condensation dryers. The kitchens feature soapstone countertops with marble backsplash which are also included in all bathrooms. Select residences include gas fireplaces. Inkwell building amenities include a gym with an outdoor lounge, and bike and tenant storage. The project is slated for completion in the fall of 2016. For more information, visit www.InkwellNY.com or call 212-712-1145. 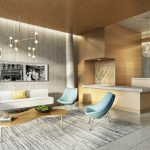 Brown Harris Stevens Development Marketing specializes in the planning, marketing, and sale of best-in-class New York City residential developments and conversions. Brown Harris Stevens, established in 1873, is the premier provider of residential real estate services in Manhattan. The firm has offices throughout New York City, The Hamptons, Palm Beach, and Miami. Brown Harris Stevens offers more luxury residential exclusives than any other Manhattan firm, and serves as exclusive affiliate of Christie’s International Real Estate, a subsidiary of Christie’s International, PLC, the world’s oldest fine arts auctioneer.